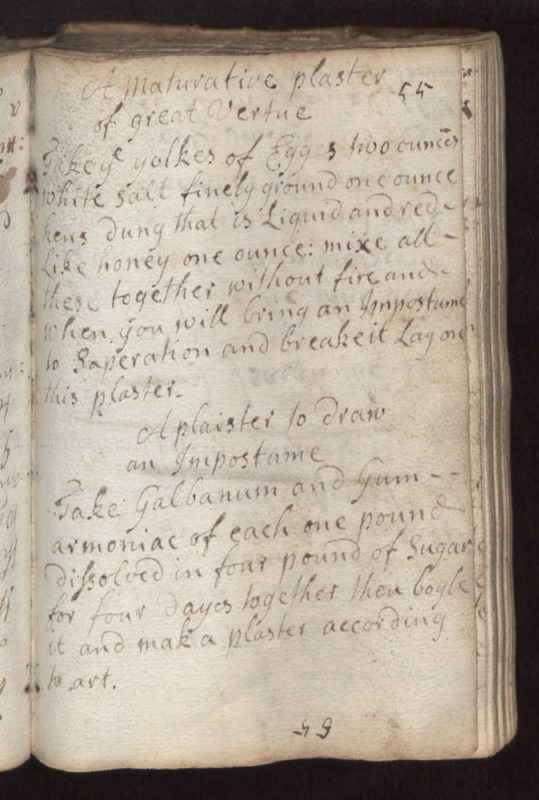 55 A maturative Plaster of Great Vertue Take ye yolkes of egges two ounces white salt finely ground one ounce hens dung that is liquid and red-like honey one ounce mixe all these together without fire and when you will bring an Impostume to seperation and breake it lay on this plaster. A plaister to draw an Impostume. Take galbanum and gum armoniac of each one pound dissolved in four pound of sugar for four dayes together then boyle it and mak a plaster according to art.